Reddit AMA, for those unfamiliar, provides a unique opportunity for fans to connect directly with various public figures, celebrities, musicians, entertainers and so on. The open forum "Ask Me Anything" format, in turn, creates an interesting platform for artists and featured guests to directly interact and respond to a slew of questions, with Jaden Smith most recently filling the seat of honor and participating in the franchise series. Naturally, his answers were especially on brand, ranging from the 19-year-old waxing candidly philosophical to the fact he responded to each question utilizing his signature style of capitalizing the first letter of every word. For example, the first fan asked, "How do you feel about people poking fun at some of your more 'out there' tweets? Do you have a hard time embracing the meme or do you just roll with it." Smith's response? "Hey First Off I'm Super Weird So I Don't Really Care About Memes I Care Much More About Influencing Music And Fashion." Fair enough. As the AMA continues, Smith continues to dive deeper, with the self-declared sometimes-rapper's responses garnering quite the reaction from fans posting in the forum. In one response to a reader's comment pointing out how Smith ignored his initial question, the recording artist responded, "How Can Questions Be Real If Our Eyes Aren't Real," hilariously making reference to a viral tweet he penned back in 2013. 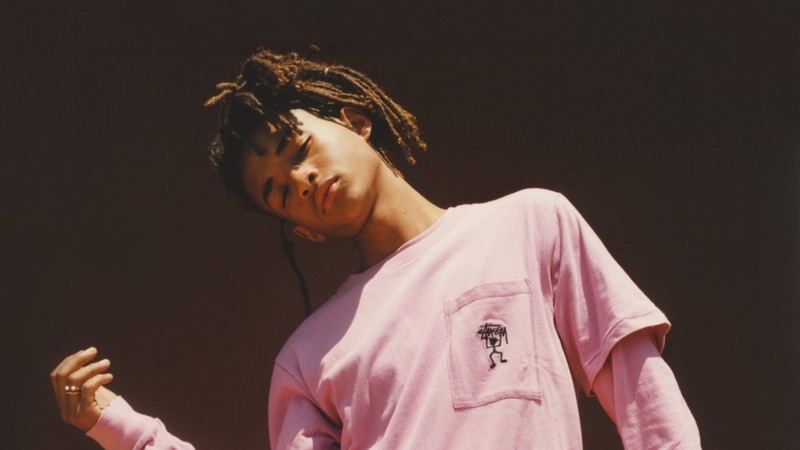 The rest of the Q+A session continued in a similar fashion, with Smith sharing gem after gem, including the fact that his recently released debut album, SYRE, took three years to complete. See a couple highlights from Jaden Smith's AMA below, as well as check out the whole thread in full here. What's Frank Ocean's number? But for real, whats he like to hang with? How do you plan on countering and healing deep-rooted misogyny in hip-hop? Why Do You Capitalize Each Letter Like This? Do you think your abnormal upbringing is going to make it difficult to make relatable music in the future? I Make Music About Personal Experience Not To Try To Fit In. If you were in the startup world, what technology would you want to be working on? If you could choose any 5 artists to feature on your next project, who would they be?